hanque nearly as lovely as the first one. Favorite track: Pinnacle Mountain Silver Mine. John Cratchley Jake's voice and spirit are true and strong...so are his songs. Nik Havert This is one of the best records of 2017. It's full of amazing stories about toil, suffering, and the rewards that await us in the afterlife. 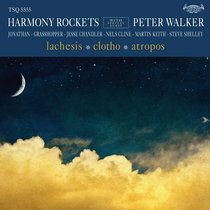 Here's my full review - www.7thlevelmusic.com?p=1783 Favorite track: Jump for Joy. Sharon Post I cried the first time I heard his Furniture Man on the pre-release tracks. I got the full CD today and I can't stop smiling. What an emotional tour de force! 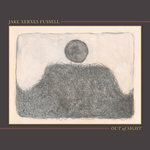 burbonsong Start to finish it is incredible, from the beautiful guitar to the raw, heartfelt voice of Jake. Feels soooo old, yet fresh and hopeful. Favorite track: Have You Ever Seen Peaches Growing on a Sweet Potato Vine?. 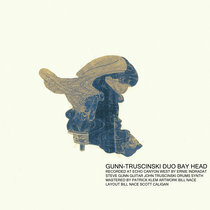 + 150g virgin vinyl LP, with heavy-duty 24pt matte jacket, color labels, and high-res download code for the entire album. 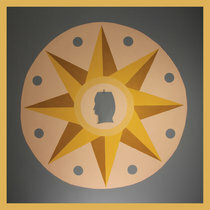 + Artwork features two paintings by iconic Chicago Imagist artist Roger Brown (1941–1997). Includes unlimited streaming of What in the Natural World via the free Bandcamp app, plus high-quality download in MP3, FLAC and more. 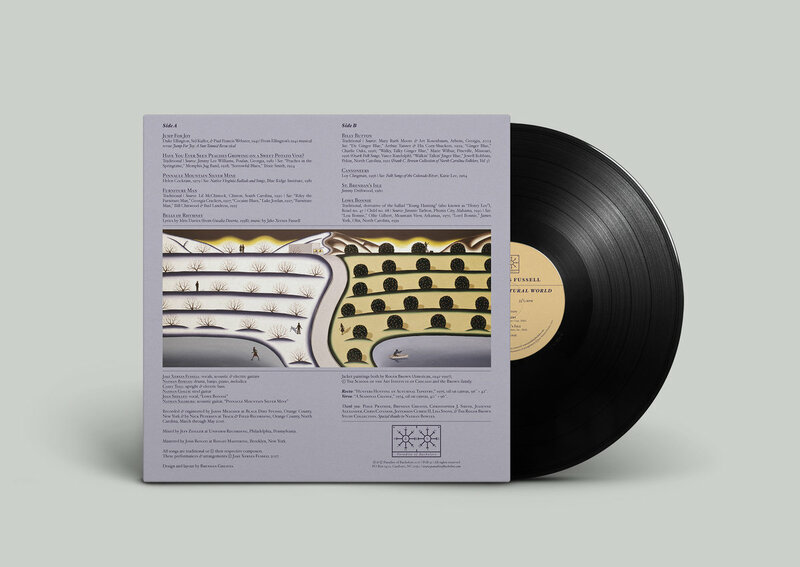 + CD edition features heavy-duty matte gatefold jacket and LP replica artwork. Roger Brown, whose preternaturally vivid paintings grace Durham, North Carolina guitarist and singer Jake Xerxes Fussell’s second album What in the Natural World, is usually associated with the loose confederacy of artists known as the Chicago Imagists, but at heart he was fundamentally a Southern boy whose Alabama origins root his work. (He grew up in Opelika, about thirty miles northwest of Fussell’s childhood home in Columbus, Georgia, and counted Elvis Presley as a distant cousin.) Influenced both by comics and the folk and self-taught art he collected, Brown’s distinctive landscapes—which oscillate between architectural and natural, urban and bucolic, busy and barren, depicting the incursion of culture on our environment—are meticulously rendered in a stylized idiom of alien symmetries: recursive, patterned terrains as saturated with vibratory color as with psychological and political subtexts. 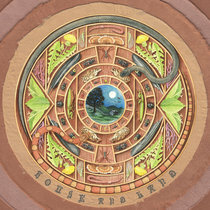 Both Brown and Fussell approach their art as a consequence of their practices as collectors and scholars of Southern vernacular culture—material culture and music, respectively—imbuing their own inventive work with the clarity and vigor of folk traditions, while reframing their durable, multivalent strangeness for our own times. Fussell has become a masterful interpreter and mutative performer of American folk and popular music, always allowing the songs he selects to breathe and swell with oceanic ambiguity, never closing them off to contemporary contexts and sonics. It’s the result of a lifetime dedicated to apprenticeships with master storytellers, from Piedmont blueswomen Precious Bryant and Etta Baker to documentary artists Les Blank and Art Rosenbaum. 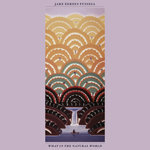 So if What in the Natural World feels both several shades darker, and unsettlingly funnier, than Jake’s self-titled 2015 debut (produced by brother-in-arms William Tyler), you need only look around at our national predicament in 2017 for clues. Since then Jake has played around the country, opening for Wilco, dueting with Tyler, and touring with Mt. Moriah, Nathan Bowles, and Daniel Bachman … and the territory he’s traversed, for many of our fellow citizens, doesn’t brook much hope. This time round Fussell has sourced his repertoire from beyond his primary Southeastern foraging grounds, including songs from the Southwest (“Canyoneers”) and even Wales (“Bells of Rhymney”). He encounters monsters, literal and figurative, everywhere in this landscape of loss and longing—from the hellhounds of “Jump for Joy” to cruel Mr. Brown in “Furniture Man” (“a devil born without horns”); from the oppressive mine owners (“they have fangs, they have teeth”) of “Bells of Rhymney” to the demons and dragons on “St. 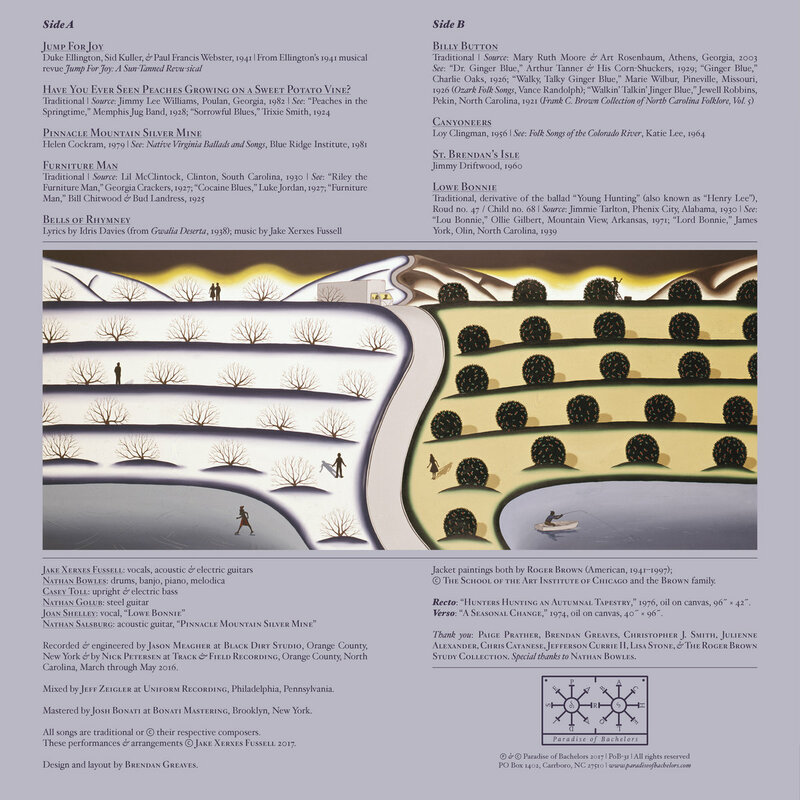 Brendan’s Isle.” Unlike his debut, the majority of these songs are not nominally traditional; they don’t hail from what Jake calls “the weird void of folk anonymity and the dark, fertile past.” Five of nine are attributed to specific artists, both canonical (Duke Ellington) and obscure (Helen Cockram), and all are recast in vibrant, assured recordings that elide genres and dissolve the false binaries of tradition and innovation, folk and modern, old and new. 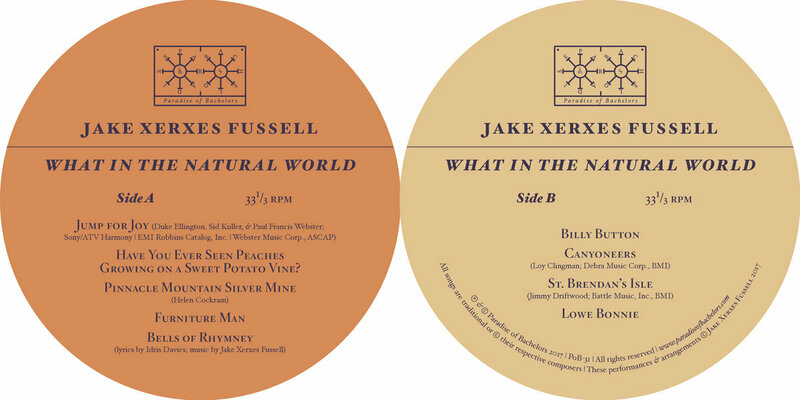 What in the Natural World was recorded by Jason Meagher (Steve Gunn, Michael Chapman) in Orange Co., New York, and by Nick Petersen (Horseback, Mt. Moriah) in Orange Co., North Carolina, and features contributions from three notable Nathans—Nathan Bowles (drums, banjo, piano, melodica; Steve Gunn), Nathan Salsburg (guitar on “Pinnacle Mountain”; Alan Lomax Archive), and Nathan Golub (steel guitar; Mountain Goats)—as well as Joan Shelley (vocal on “Lowe Bonnie”) and Casey Toll (bass; Mt. Moriah). Throughout, Fussell poses Natural Questions in the form of transmogrified folk/blues koans. 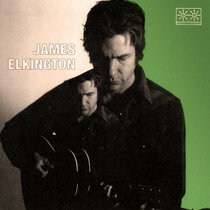 These nine elliptical riddles, spare but sturdy, driven by Jake’s limpid guitar and understated singing, both absorb and reflect the conditions of their listeners, refusing to offer easy answers. Though the album title lacks a question mark—it can be read as exclamatory or interrogative—all of these songs contain axial, and anxious, questions about the Natural World and our tenuous position within it. “Have you ever seen peaches growing on a sweet potato vine?” Can nature yield further fruits? Instead of a response to the titular paradox we get sleepily affectionate flirtation: “Wake up, woman, take your big leg off of mine.” (“She’s a married woman, but I love her just the same.”) Bowles shuffles winningly. 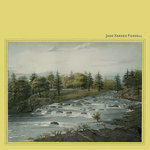 “What kind of business has the poor man got/dealing with the Furniture Man?” “Furniture Man,” a desperate tale of poverty, dispossession, and imminent homelessness—its cascading guitar refrain descending into a quiet pit of resignation—is as relevant and heartrending now as it was when first recorded in the 1920s. “How can I live, how can I live?/You wounded me so deep.” The hero of “Lowe Bonnie,” a chilling Alabama variant of the Child murder ballad “Young Hunting” (aka “Henry Lee”), is slain by his jilted lover (voiced here by Joan Shelley) in a deathly embrace, as he watches her “pen knife” spill his “own heart’s blood” onto his feet. Jake’s guitar shivers. In his first-century scientific and philosophical treatise Natural Questions, Seneca interrogates his environment for answers, venturing some, but warning that “a single lifetime, even though entirely devoted to the sky, would not be enough for the investigation of so vast a subject.” Maybe the meaning of a thing reveals itself only through tradition, through time, through iterative summoning and study. You get the sense, listening to Fussell’s music, and looking at Brown’s paintings, that they would agree. + Available on 150g virgin vinyl as an LP, with heavy-duty 24pt matte jacket, color labels, and high-res download code for the entire album. 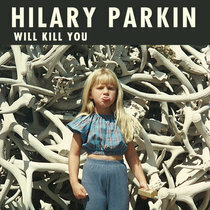 + RIYL: Michael Hurley, Bob Dylan, John Prine, Dave Van Ronk, Jim Dickinson, Raccoon Records, Joan Shelley, Nathan Bowles, Nathan Salsburg, William Tyler, Daniel Bachman, Wilco. A singular combination of pedigree, experience, education, and talent. 9/10. It takes a lot of work to sound this relaxed. 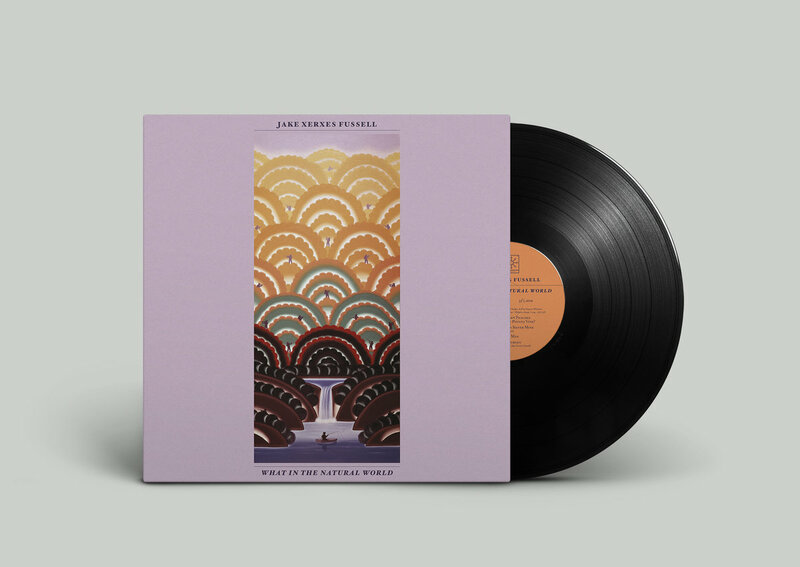 On his buoyant self-titled debut, North Carolina-based, Georgia-raised folksinger and guitarist Jake Xerxes Fussell wields guitar chops gleaned from years of apprenticeship and deep study to spin the most vibrant yarns. Although the songs are Fussell’s adaptations of traditional folk and blues material, in Fussell’s curatorial hands, they sound neither old nor self-consciously shiny and new; they simply make you want to dance. 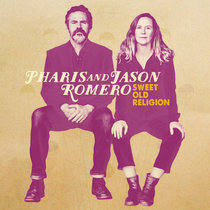 A lively and wholehearted gem of folk, country and bluegrass… not only gorgeous, but also a hell of a good time. Quietly, but unmistakably, the poignancy of this group’s paean to the vistas and spirits of their land take hold of you. And you don’t want it to let go. A human jukebox, a raw and penetrating voice out of time, a genuine bluesman with the heart of a mystic. His debut, Jake Xerxes Fussell, just out from Paradise of Bachelors, is pretty damn perfect. This is the kind of record I feel like I was born to listen to. That voice. That guitar. Man.